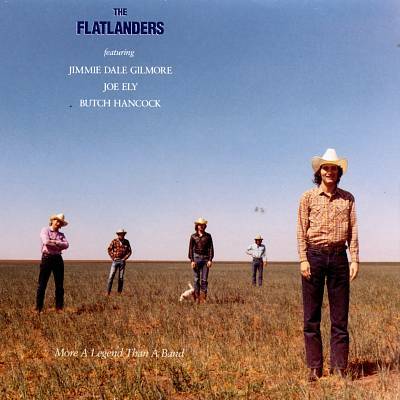 One of the best-known songs about Our Fair City is the dark and cynical “Dallas” by The Flatlanders (written by Panhandle-born Jimmie Dale Gilmore). It may be the best representation of the city ever written. I mean, how can you ever improve upon the immortal line, “Dallas is a rich man with a death wish in his eye”? In August of 1967, right in the middle of The Summer of Love and several years before The Flatlanders recorded their song, Willie Nelson recorded a very different song which was also called “Dallas.” These two songs offer the yin and the yang of Dallas, a city people seem to love or hate. Take a ride on her Central Expressway — breeze down the LBJ. Look her over good, you’ll have to say: she’s the best-dressed city in the USA. But Dallas ain’t a woman to help you get your feet on the ground. Yes Dallas is a woman who will walk on you when you’re down. But as Jimmie Dale says, Dallas will always look great from a DC-9 at night. Thanks to my friend Steve Ray of the Texas Music Office for bringing the Willie Nelson song to my attention! For more on the “Texas In My Soul” album (which has what must be one of the worst album covers ever), see the review at AllMusic.com, here. For my previous post on Dewey Groom, see here.